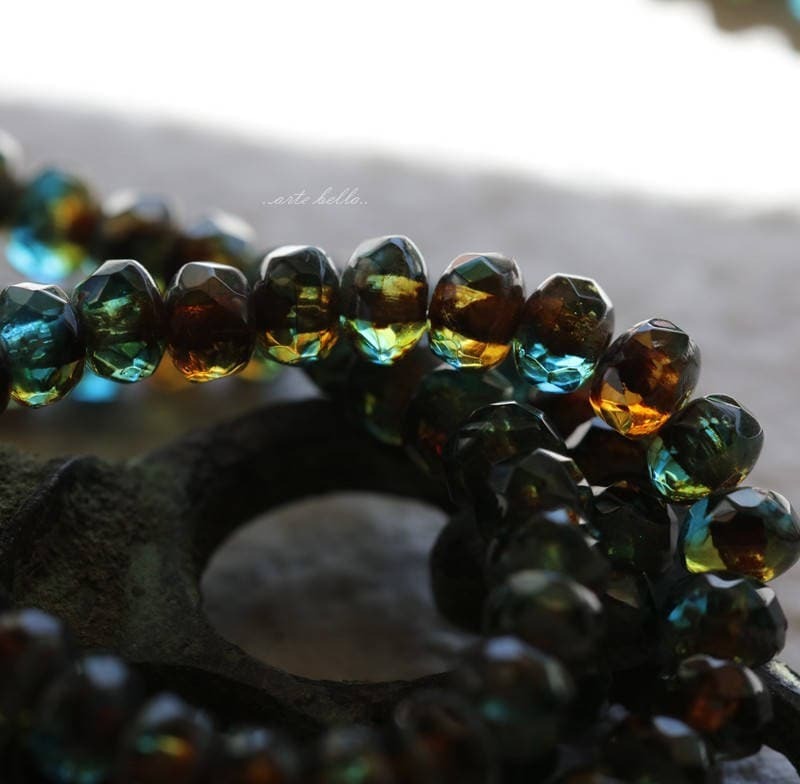 Gorgeous translucent super crisp faceted aqua teal, ocean green and amber glass lightly coated on the ends with Picasso. These transmit light beautifully. Okay.......these are a MUST! So tiny and so precious. They sparkle and shine. 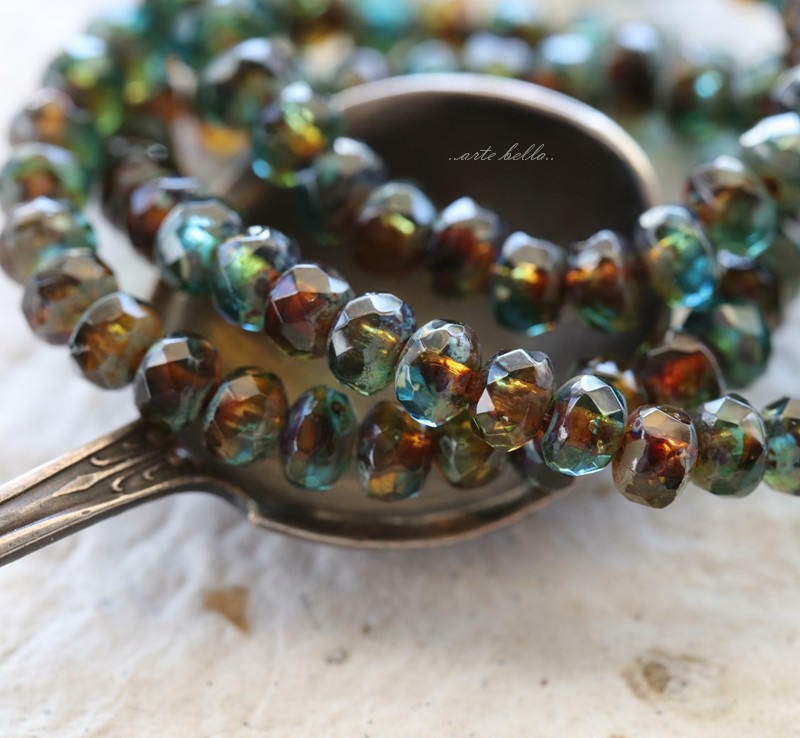 So many colors visible in a tiny bead. They will be a great addition to any earring that you make. 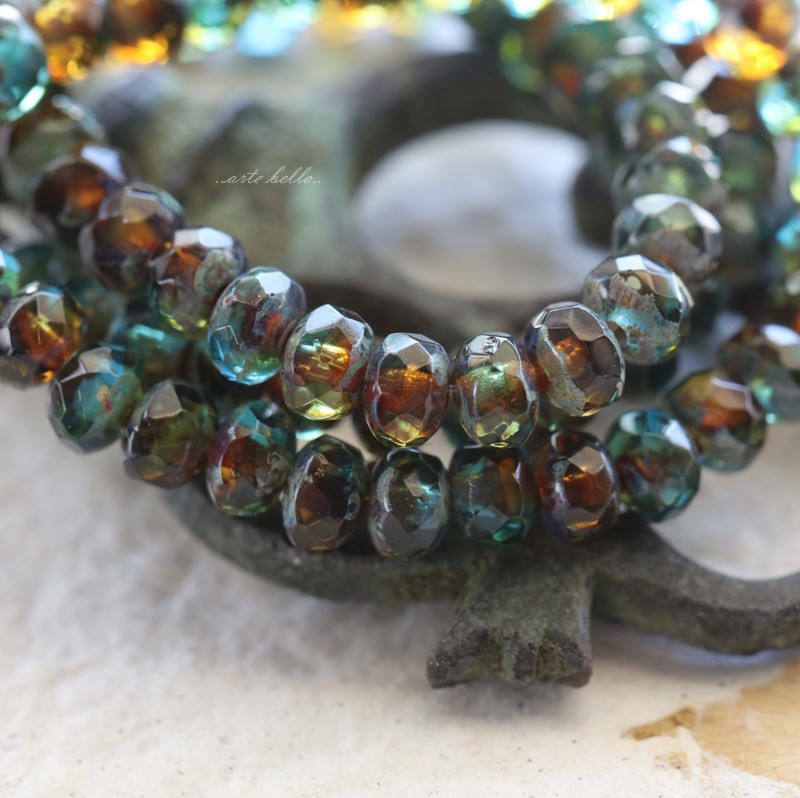 Rustic jewelry makers, like me, will use them over and over again. Thank you so much, Karen. AAA shipping too! Nice beads. Just what I needed. Fast shipping. Thanks!! Will be beautiful in my multi stone design pieces. They look at home along side gemstone pieces. 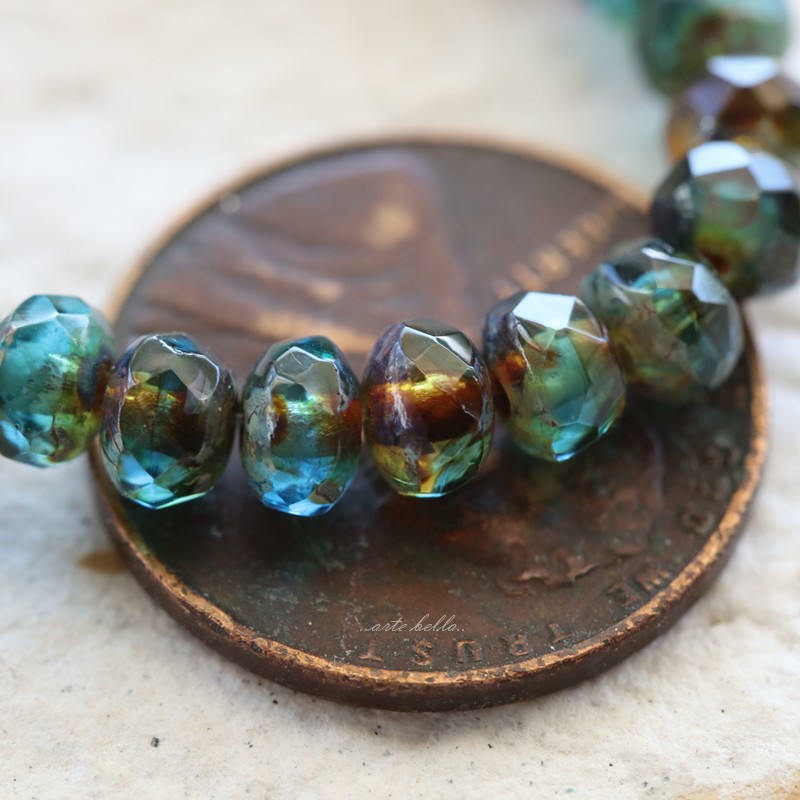 I love Czech glass, and I was looking for a specific size and colors to finish some necklaces. It was great to find what I needed in one spot! 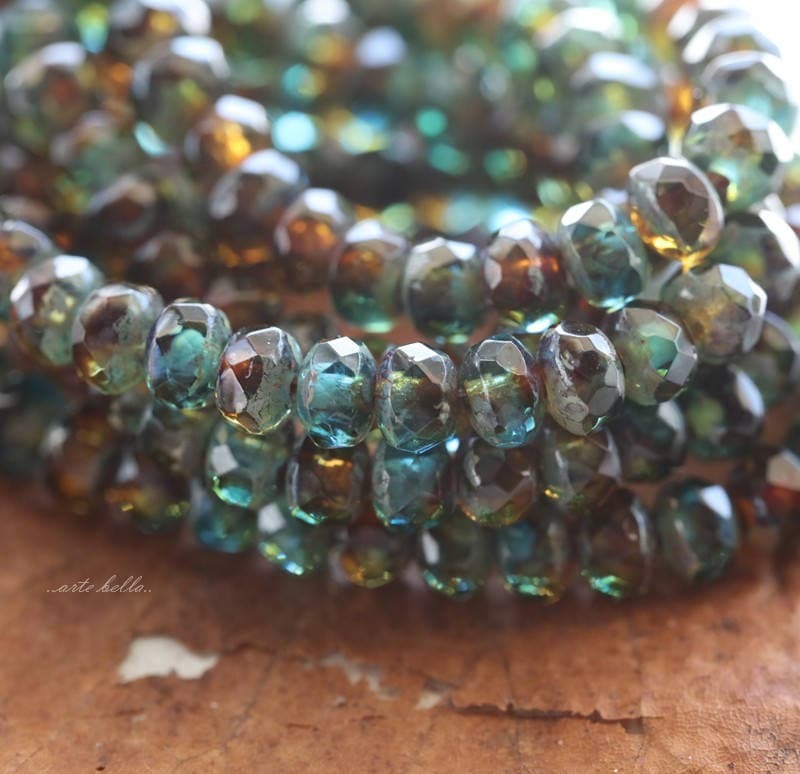 Thank you also for doing credit to these lovely beads with the excellent photography and descriptions!! Wonderful beads and excellent service make working with this seller a real pleasure. Thank you!